National retailer Belk has named iCrossing in Chicago as its lead digital agency. The shop won the business following a review with the Charlotte, N.C.-based retailer looking to raise its brand awareness among new audiences. iCrossing will manage digital media, search engine marketing and paid social for Belk. Four agencies, including Performics, Razorfish, iCrossing and incumbent agency Camelot, vied for the business. 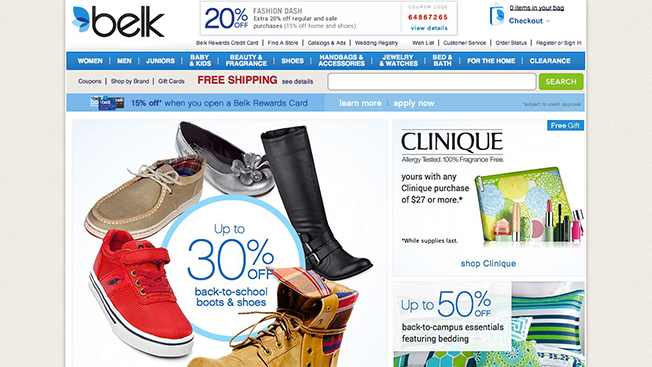 "iCrossing impressed us with their team of digital experts, audience insights and comprehensive approach to our business," said Jon Pollack, evp of sales promotion, marketing and e-commerce for Belk. The retailer spend $31 million in media last year, according to Kantar Media.